. 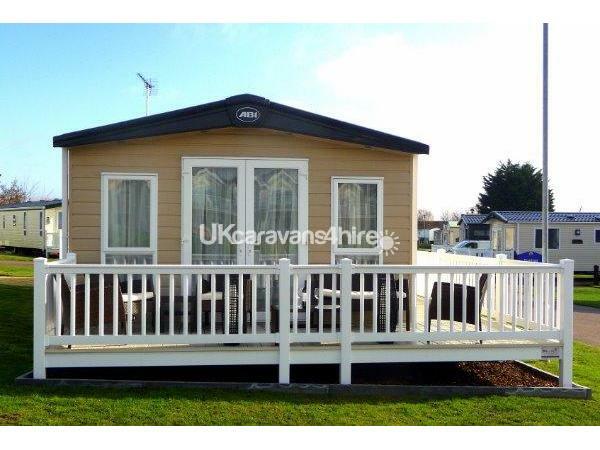 '2017' ABI BEAUMONT 42' x 14' 9" 2 Bedroom Caravan, King-size Bed & Full-size Twins, all with pocket-sprung mattress. 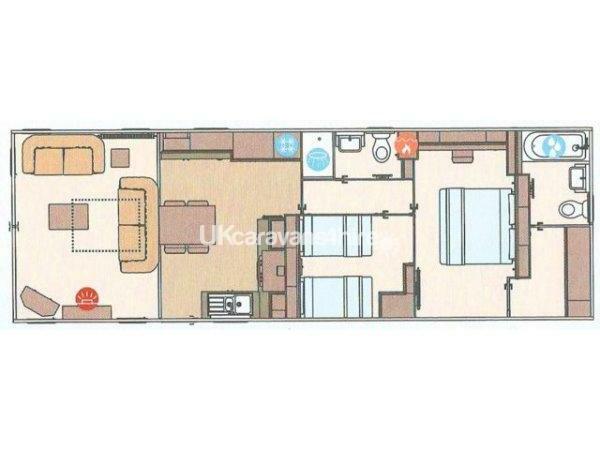 Fully furnished to PLATINUM PLUS LUXURY STANDARD with Dishwasher, Fridge Freezer, Washing Machine, Larder Unit, Bluetooth Sound System, 40" LED HD TV/DVD Player in Lounge with 'SKY TV '. 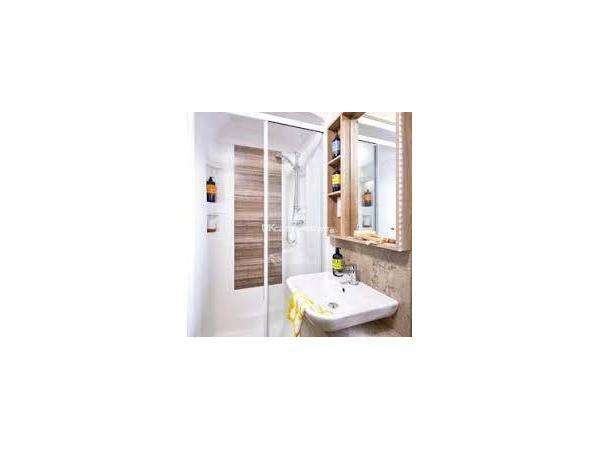 22" LED HD TV wall- mounted in Master Bedroom and wall-mounted TV/DVD in 2nd Bedroom , plus many other extras including Hairdryer, Travel Cot, High Chair, Ironing Board & Iron, Rotary Clothes Dryer, DVD's, Books, Toys, etc. 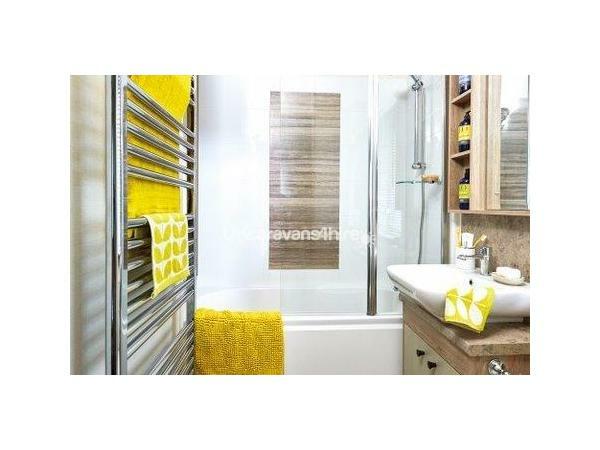 We supply ALL Bed-Linen,Tea- Towels, Tea, Coffee, Sugar and all cleaning products for your convenience. Large outside space with full wrap round veranda with lockable child proof gate with a six seater Rattan Patio Set, Coffee Tables and Floor Standing Lights for those warm evenings. The caravan comes fully equipped for four persons,(just bring your own towels) with everything needed for a wonderful Family Holiday. With the Beach right on your door-step, a full and varied daily activities programme and great Evening Entertainment you are sure to have a great time ! There is so much to do on this HAVEN site (full details on www.haven.com) some facilities may require passes/tickets. 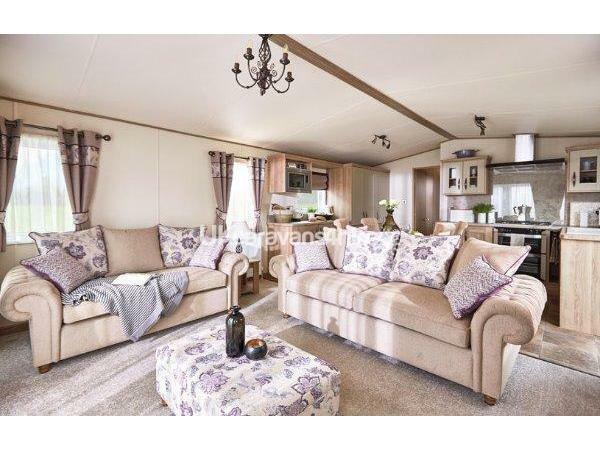 This caravan is locally managed. Thank you so much for your very kind review and we look forward to seeing you all again next year . 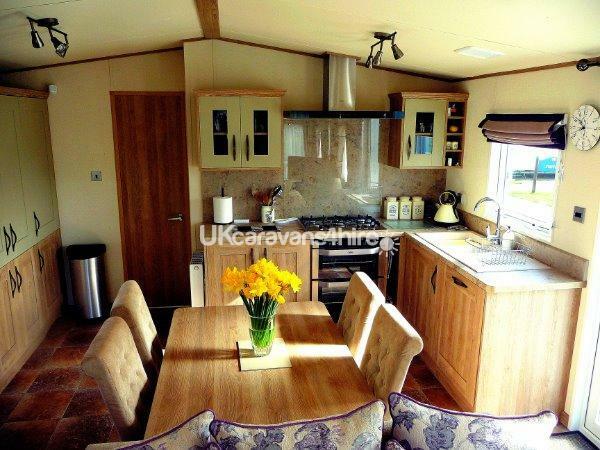 We loved our stay in this beautiful caravan, the best we have seen or stayed in during years of caravan holidays. The caravan was spotless when we arrived, and was full of added extras which made our stay much more enjoyable (especially the bubbles and toys for the children - thank you!). The beds were big and comfy and it was really useful to have a bath to dunk the children in after swimming! Equally useful was the washing machine which made returning home much more enjoyable too! The caravan is in a great position, very quiet with easy access to everything, and the children loved playing in the 'garden' (balcony) where we could be sure that they were safe. A lovely holiday, thank you Steve and Pat. The welcome from the hosts were warm and friendly. The hosts even provide toys for the children and Sky TV, to keep them amused whilst you cook a good full English breakfast. 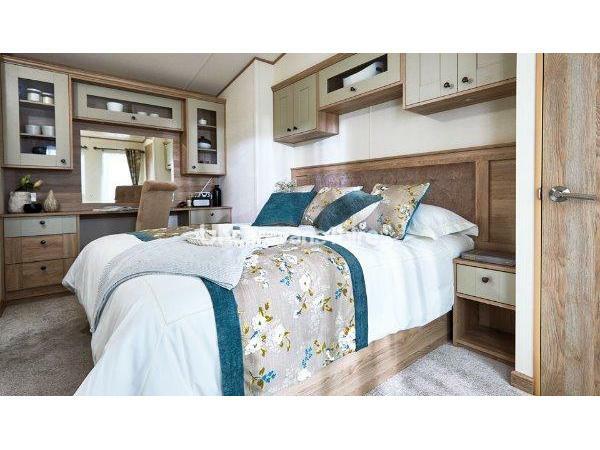 The caravan is beautiful and also immaculately clean and tidy throughout, with everything you would need like 'home from home'. 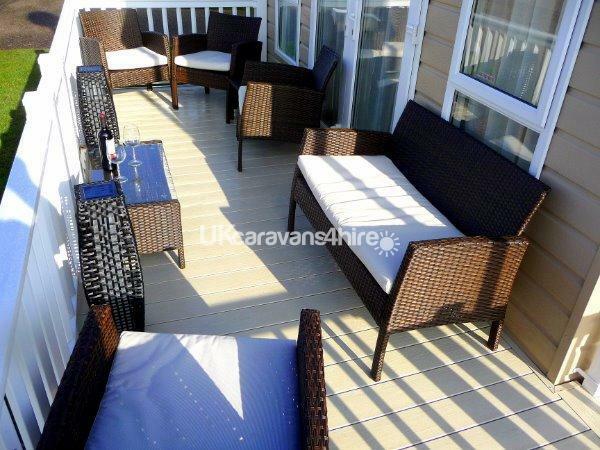 The patio area surrounding the caravan made us feel safe, allowing the children to run free. 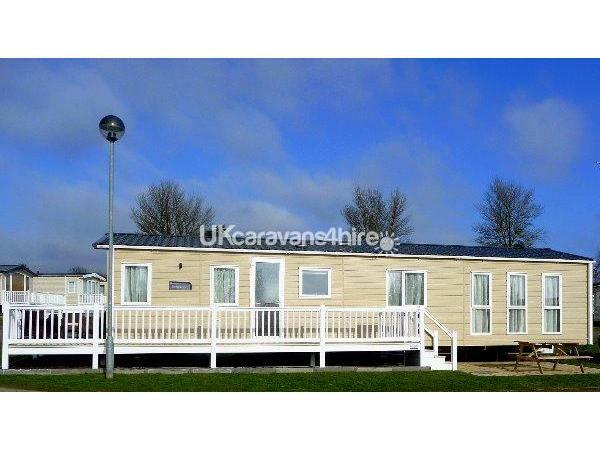 The caravan is near to all amenities but is also situated within a relaxing part of the park. We had a fantastic holiday and have re-booked to return again during the summer holidays in 2018 and hope to do so again for many years to come. Thank you for your kind review,so glad you enjoyed your holiday and look forward to seeing you again soon. 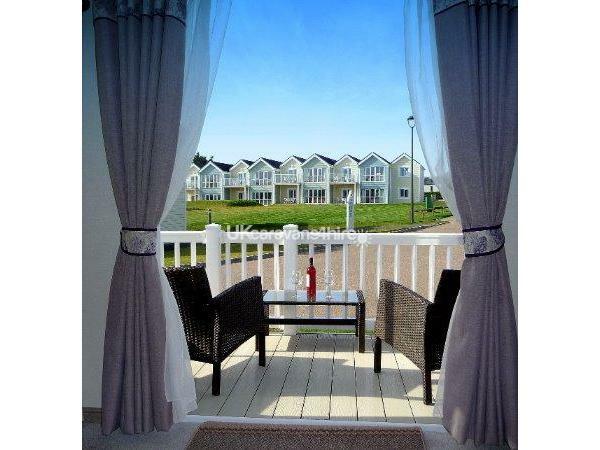 We had a brilliant 1 week holiday for May half term at Caister Holiday Park. 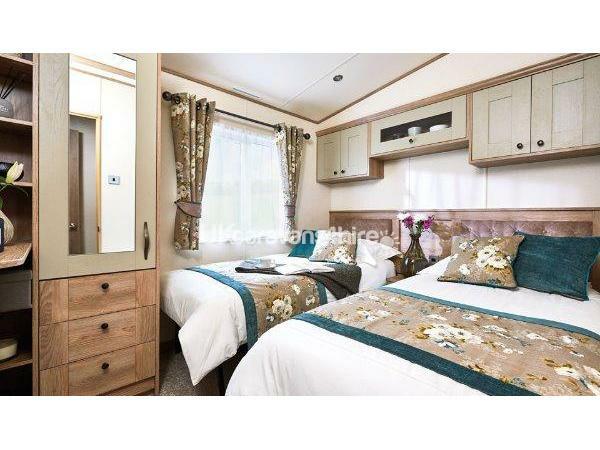 The caravan is very clean, modern and well equipped, there was nothing we wished we had. Steve and Pat were amazing hosts with great communication from the time of booking. Caravan is on a excellent pitch opposite field where kids can play. Despite it being half term the site overall never felt too busy which was really nice. 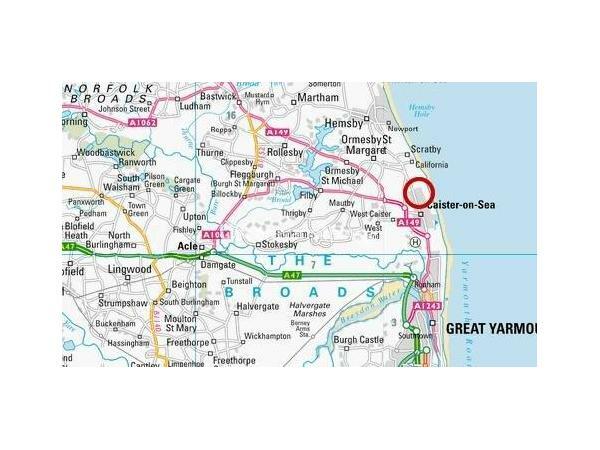 We had a fantastic time, Caravan was perfect, looked brand new and very clean, Steve and Pat were so helpful from the start of the inquiry to the end of our holiday, We have already booked for next year but for two weeks this time, Highly Recommended !!!!!!!!!!!!!!! Thank you for your review and we look forward to seeing you all again next year.